Funky Finds began as a blog in 2006 as a way for me to share things I love with others. 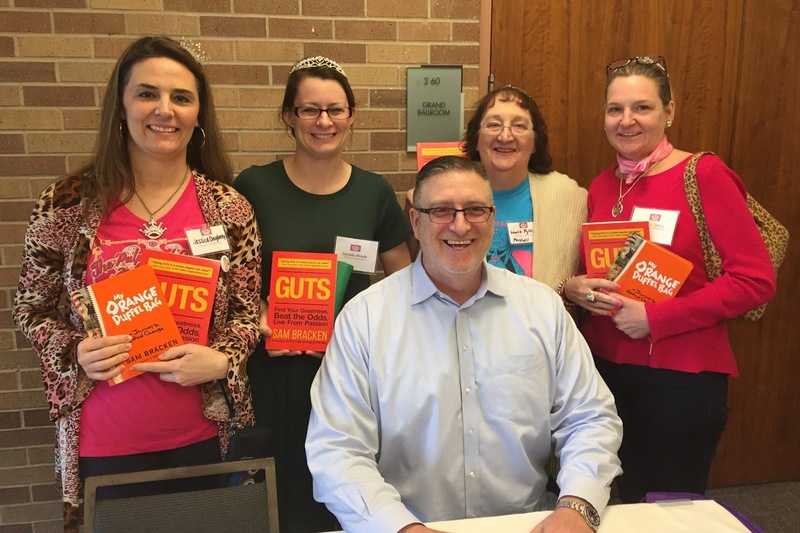 Last weekend I had the privilege of spending three days at a book & author event called Girlfriend Weekend for The Pulpwood Queens & Timber Guys book club members in Nacogdoches, Texas. I am a voracious reader & I love my local book club chapter The Pulpwood Queens of NE Texas. 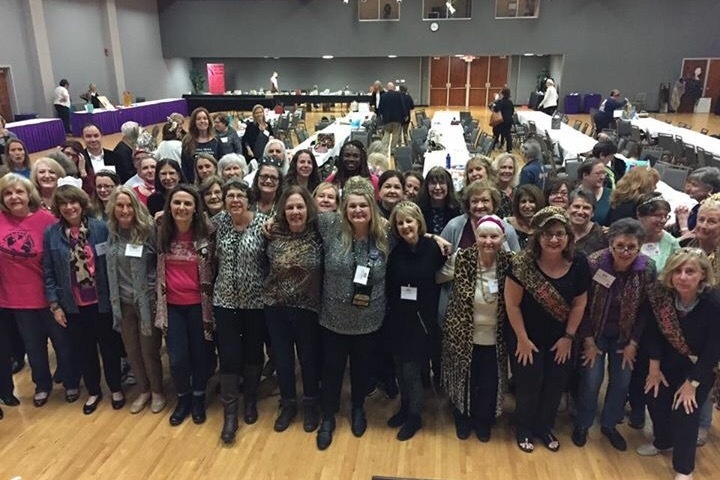 The book club was founded in 2000 by Kathy L. Murphy and has grown to over 700 chapters worldwide. 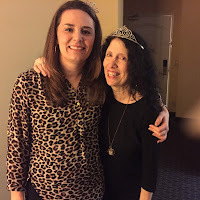 Each year at Girlfriend Weekend, attendees are able to meet a wide variety of authors who speak about their latest books, the story behind the story, and often times startling honest revelations are shared with the rapt audience. I want to share with you a few books that I read last year, some I am excited to read in the coming months, and also one man that I firmly believe needs to speak to every human in the world because he will change your life. Sam Bracken was an abused child that began drinking & doing drugs by the age of 9. Through sports he was able to quit drugs & drinking and find a way to form & pursue his goals. His book My Orange Duffle Bag describes his life, his journey, and what he calls 7 Rules for the Road. I was so inspired by Sam because he had all odds against him; however, he rose above it all. In My Orange Duffle Bag, he says he recognized a great truth - life is not fair, but nothing good comes from sitting around feeling sorry for yourself. This is a message so many people need to hear. Sam also spoke to us about his latest book GUTS: Find Your Greatness, Beat the Odds, Live From Passion, discussing the different between grit - grinding it out day after day because you must - and guts - doing what you love. But he stressed that you should not only do what you love, but do what loves you back in turn. He also reminded us the importance of the huddle, mostly known from sports, but something you can incorporate into your daily life with those around you. Of course, your huddle needs to be made up of those who will encourage you, help you achieve your goals, and surround you with positivity. I encourage EVERYONE to read Sam's books & share them with others, especially young people. I was totally geeked out to meet two of my favorite authors from 2016. In October, I read Cruel Beautiful World by Caroline Leavitt. The world truly is a cruel yet beautiful place and this story beautifully illustrates that fact. 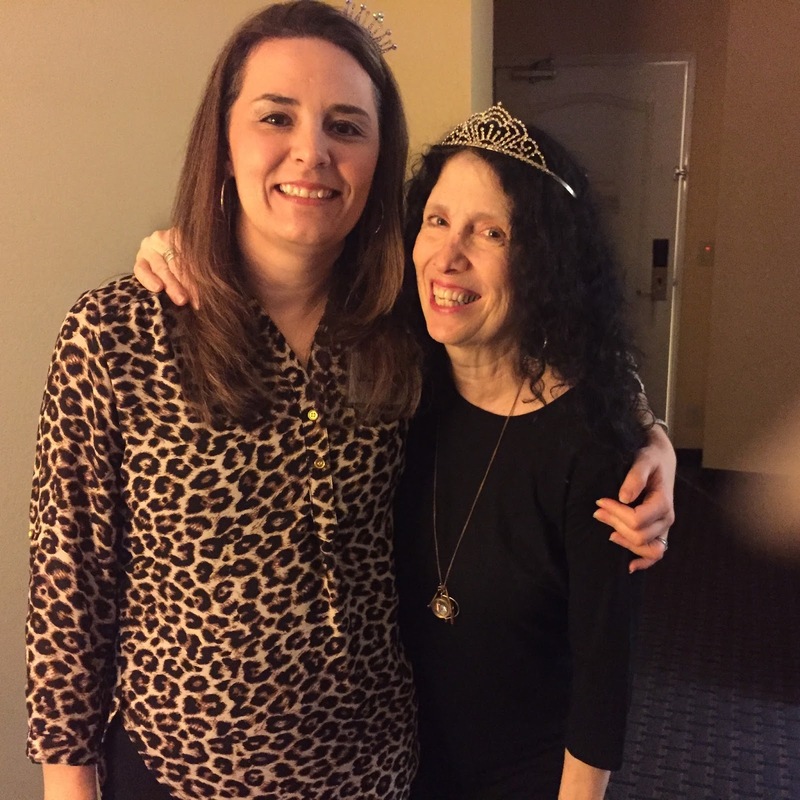 Caroline Leavitt has another wonderful story under her belt. This book is filled with characters Leavitt brings to life in a way that feels rich and deep. It will definitely hold your attention from start to finish. I also highly recommend Pictures of You that was published in 2011. Our December book club pick was Ann Hood's The Book That Matters Most. This is a wonderful book about love, loss, secrets, friendship, and the healing power of literature. So many books can be billed as THE book that matters most, but it all depends on where you were in your life at the time you read that book. I always look at White Oleander as an important book in my life, not so much because of the storyline, but because i recall how it gripped me at the time I read it and it really started my love of reading. 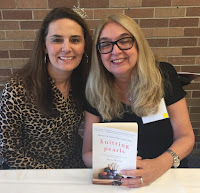 Ann Hood's book is one of mystery, rediscovery, and healing. I truly enjoyed it so much.